A commercial building’s energy use is a large operating expense. Typically, one-third of operating expenses is comprised of energy consumption. That is why it is so important to have an energy audit conducted at your commercial building. If your commercial building becomes more energy efficient, you will reap the benefits of reduced operating expenses and an increase in profits and property asset values. A commercial building energy audit evaluates how efficiently your building is using energy. An audit is the first step to take to make your building more energy efficient. If you want to conserve energy, lower ownership costs, increase asset values, and create a more environmentally friendly building, then you should have a commercial energy audit conducted. It is a simple process. 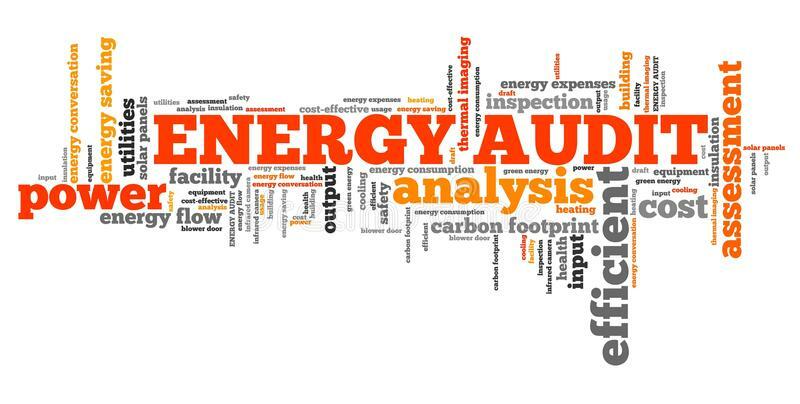 An auditor will come to your facility and take a comprehensive look at energy consumption data to make an assessment. Overall, the following factors will be examined: utility bill (including past bills), on-site survey of property, retrieve data and calculate equipment performance and runtime, review condition of the building envelope, and review current operating schedules. After evaluating all the factors, an energy auditor will recommend cost-effective solutions to maximize the functionality of your building. There are many benefits to have an energy audit performed at your commercial building. Financially, the greatest impact will be reducing your operating expenses. The operation of the building will also benefit after a completion of an energy audit to become more modernized and operationally efficient. Not only will an energy audit benefit you financially and operationally, but it will also benefit the environment by reducing carbon emissions. It’s important to keep in mind that to fully reap the benefits of an energy audit, you need to follow through with the recommendations of the auditor. An electrical contractor is someone who has been trained extensively to install and maintain electrical components and systems. Often times, you will find an electrical contractor on a construction project. Electrical contractors specialize in various areas, such as line electricity contractors, inside electricity contractors, and integrated building system (IBS) electricity contractors. Line electricity contractors work on a power plant to work with installation, repair, and management. Inside contractors work in both commercial and residential properties; these contractors do almost all types of electrical work. IBS electrical contractors work on installing, fixing, and removing wiring in telecommunication services along with working on wireless network and back-up power in high tech equipment. There are differences between an electrician and an electrical contractor. To begin, an electrical contractor is the person who works more closely with building crews and home builders during the construction phase of a building. They are responsible for keeping the project within budget and staying on task with the timeline of completion. A major difference between an electrical contractor and an electrician is that typically an electrical contractor has experience in the business and financial sides of electrical contracting. Additionally, an electrical contractor is in charge of a group of electricians. They hire electrician crews and supervise their work during the installation phase of a project. At Schaffhouser Electric, we have many qualified electrical contractors who are looking forward to working with you on your next project. Contact us at (615) 325-8001 to set up an appointment. According to the U.S. Consumer Product Safety Commission (CPSC), 5,300 fires were caused by some type of electrical malfunction. This number can dramatically drop by learning of ways to prevent electrical fires and keep everyone safe and sound. Obviously, the most important preventative step is to make sure your smoke detectors are working properly, and that you have them installed throughout your residence or business. In fact, 65% of home fire deaths result from residences with no working smoke detectors according to the CPSC. The following provides some guidelines to prevent electric fires from igniting in your residence or place of business. One of the most important preventative steps to take is to check your wiring. Wiring has a lifespan of 30-40 years and even less than that if your building uses aluminum wiring. Some signs to look for that could indicate that your wiring is old or outdated is if your circuit breaker trips often, if your fuses frequently blow, or if you are utilizing too many extension cords or surge protectors throughout your home. If any of these factors are typical in your household, it is imperative that you call a professional to check the wiring to see if it needs to be replaced. An arc fault is a leading cause of electrical fires. An arc fault results when there is a high-power discharge between two or more conductors, thus resulting in producing heat that can lead to a fire. These commonly result from a loose connection in an outlet. So, to take a preventative step, a good place to start is to check all your outlets at least once a year. An Arc Fault Circuit Interrupter (ACFI) is a device used to detect arc faults and is most definitely a great way to prevent electrical fires due to an arc fault. Lastly, the following are some easy steps you can take to prevent an electrical fire from starting in your home or business. Replace any cracked, damaged, or loose electrical cords. Plug major or small appliances directly into the wall instead of an extension cord. Keep any flammable material away from outlets, so they do not trigger a fire. Replace any wall outlets that do not fit snugly into the wall. Use power strips and surge protectors that are labeled by a recognized testing laboratory. Please give us a call at 615-325-8001 if you would like to schedule a certified electrician from Schaffhouser Electric to inspect your home or business. We are here to protect you and your property from electrical fires and other electrical problems. When a breaker panel trips, it often seems to happen at the most inopportune times and is extremely frustrating! Circuit breakers are designed to trip when too much electricity is being pushed through the breaker. When a breaker panel trips, it turns off power due to an electrical current overload, thus protecting your home’s electrical system. There are simple methods to follow to troubleshoot problems with your circuit breakers in your breaker box. The best place to start when you have lost power in your home is to reset your breaker box. Locate your breaker box. Most breaker boxes are located in the basement; in the garage; or in the utility room close to a water heater, air conditioning system, or furnace. After opening the door to your breaker box, listen and make sure you do not hear a buzzing sound or any other odd sound because if you do, you need to contact a professional instead of proceeding on your own. Examine the diagram on the inside of your panel door to locate the circuit to reset in your home. It is typically labeled according to your house layout and numbered on the switches. Inspect all the switches. You will know which circuit is tripped because the switch will be positioned in the middle and have a bit of a “springy” feel when touched. Flip the switch to the OFF position and wait three seconds before switching it to ON position. Have I added extra appliances to my home such as microwaves, portable space heaters, or hair dryers? Do I have aging appliances that are causing a jolt in electricity because they need to be replaced? Do I have too many appliances or equipment plugged into one circuit? For example, a television, multiple lamps, and home entertainment system will cause a circuit overload. Do I have devices that are not used regularly turned off? If your answers to the above questions are “no,” then you need to contact a professional electrician because you may be dealing with some other factors that are causing your circuit breaker to trip. Short circuit issues, faulty wiring, or needing an additional electrical circuit to power all of your electrical needs at home could all be reasons for you circuit breaker tripping. If you are having problems and you can’t fix them, call us at (615) 325-8001. Our knowledgeable electricians and support staff are here for you 24/7! What is the difference in commercial, residential, and industrial electricians? An electrician is not a “one size fits all” profession because there are many differences among commercial, residential, and industrial electricians. For each type of job, an electrician will use different wiring techniques due to energy needs, equipment used, and load demands. Also, commercial, residential, and industrial electricians abide by different procedures and different materials. That is why it is so important to make sure you are hiring the right type of electrician to get the job done for you. Obviously, residential electricians work in homes. They differ from industrial and commercial electricians because they use single phase power supplies (120-240 volts). Residential electricians run romex cables and keep the wiring hidden from view by wrapping their wiring in sheathed insulation. This approach minimizes exposure and damage to the wires, and, most importantly, protects homeowners from electrical shock. Stores and offices are where you will find a commercial electrician installing power outlets and lighting. By using a three-phase approach, their wiring has two smaller “legs” running one voltage and a larger “leg” running a higher voltage. Thus, the three-wire systems allows an overall lighter workload. The wiring done by commercial electricians remain exposed; however, it is typically run along the exposed sides of ceilings and walls. Basically, an industrial electrician is the same as a commercial electrician but works in factories, chemical plants, and mines. Industrial electricians also use a three-phase power set up. The main difference is that they mostly work with RMC conduit that powers control circuitry as opposed to running MTC or MC cables. Here at Schaffhouser Electric we have quality industrial and commercial electricians for all of your wiring needs. Whether it is a store, office, factory, or plant, we will get the job done right!